“My daddy is a hero,” says eight-year-old Jessy Hill as she gives her father a hug after celebrating a dream-come-true Disney moment. Jessy and her 11-year-old brother, Austin, got the opportunity of a lifetime – to be grand marshals in the “Celebrate a Dream Come True” parade at Magic Kingdom. Grand marshals are randomly selected daily for the parade, but for the Hill family of Canton, NC, the magic of the day held extra special meaning. Sgt. James Hill, a U.S. Army Reserve Soldier, recently returned from his second deployment to Iraq. The Hill family was in Orlando on April 18 to attend an Army Reserve Yellow Ribbon Reintegration Workshop when they were randomly recognized in honor of the Month of the Military Child. Since 1986, the U.S. Army has designated April as the Month of the Military Child to recognize the important role that military children play in the armed forces community. It is a time to applaud America's youngest heroes and thank them for the sacrifices they make in courageous support of their military parents. “They’ve earned it,” Keri Hill said about her children who have gone through two recent deployments. “They’ve gone a whole year with just me and without their father. They need to have a lot of fun, and that’s what we are doing here today.” She said military children experience deployments differently than adults. After waving non-stop and with a big smile etched on his face, Austin Hill said the parade was an amazing experience he will never forget. He was amazed by the outpouring of support they encountered and couldn’t wait to return home to tell his family and friends about his magical experience. Who's the fastest rider in Disneyland? ANAHEIM Brandon Moss' team members figured out quickly last year that Tomorrowland ride lines go slower than those in Fantasyland. So, when his teammates today began a Disney contest to ride as many rides as possible, his four-member team dashed for Snow White's Scary Adventures in Fantasyland first. Some got creative with their names. One team of four men – two with long hair, another with a Mohawk and chin piercing – was called the Eisner Initiative, named after former Disney chief executive officer Michael Eisner. Their black T-shirts featured a logo similar to that of the Dharma Initiative on the TV show "Lost." Moss' group, Team Protozoa, comes from a band in "Zenon: Girl of the 21st Century," a 1999 Disney Channel TV movie. "We came as a different name last year, so we challenged ourselves to come up with an even more obscure Disney Channel name this year," said Moss, 22, sporting an aqua team shirt. "It's iron-clad," said Moss, whose team failed to rank last year. Still, this morning, Team Protozoa and friends, Alley Cats, were far ahead of the previous year's pace when they got stuck on Autopia. Before 9:15 a.m., they had already hit seven rides and two walk-through attractions. "We had to shift our plan. But we're back on plan. This is exactly what we want to do," Ceballos said. Ceballos' team was also facing off against family and friends in three other teams, who treated the rally as a family reunion. "We do trash talking before the Gumball Rally. We've seen each other a few times and exchanged heated words, but it hasn't gotten physical yet," Ceballos joked. Safety Third got off to a slow start, but by about 9:35 a.m., the team had completed seven rides and lined up for Casey Jr. Circus Train. He didn't recall how the team ranked last year, but this year, he expected it would be different. "Our goal's to win, of course," Ceballos said. In order to bring the theme park to life on the screen, two photographers worked for 20 days to shoot all the visible surfaces of Disneyland Paris, including every building facade. This partnership marks the first of many technology initiatives that will enable our guests to plan for and maximize their time while vacationing at Disneyland Paris,' said Philippe Gas, President of Disneyland Paris. Despite the economy, Amusement Today magazine reports that surprisingly—or maybe not—there was an overall increase in amusement parks attendance last summer. If the promise of good times minus the burden of advance legwork is a perpetual draw, new attractions have a large role in bringing people back, too. “With constantly evolving and improving park experiences marked by new and innovative rides, entertaining new shows, and new services like VIP programs which allow guests to move to the front of a ride line, you have multiple reasons for guests to visit over and over again,” says Sarah Gmyr, spokesperson for the International Association of Amusement Parks and Attractions. Although travel to Florida was down overall, attendance at Universal Studios in Orlando saw an increase while Disney's Magic Kingdom and Epcot parks stayed flat. This may be due to Universal Studios' '08 openings of The Simpsons Ride, an adventure that takes place in Krustyland and features a psychotic Sideshow Bob on the lam, and Disaster! A Major Motion Picture Ride which uses HD video projection to create 3-D images of participants starring in movie trailers. The economic downturn seems not to have affected Asian parks, nearly all of which reported upticks in attendance. Even the fairly new Hong Kong Disney, which was far behind the much older Ocean Park in 2007, experienced an increase of over a quarter of a million visitors, up almost 10% from the previous year. Except in this case, brand recognition is the explanation for the pioneer of the modern amusement park, Disney, leading the pack in North America, Japan and Europe. In fact, numbers at Disneyland Paris raised by 688,000, bringing the total to nearly 9 million more visitors than the next biggest European attraction, Europa-Park. The huge difference in attendance between Disneyland Paris and other European parks may be due to its location in Marne-La-Vallee, within the Parisian metropolitan area. In comparison, the location of Germany’s Europa-Park in the town of Rust seems remote with Freiburg and Strasbourg as the nearest urban centers. Other Euro amusement parks, like the venerable Tivoli Gardens, have the charm and whimsy that influenced many early theme parks but not the newest bells and whistles of Disneyland Paris. In choosing the parks to tally for the list, waterparks and aquarium parks like Seaworld and Japan's huge Yokohama Hakkeijim Sea Paradise have been excluded in order to focus soley on amusement parks whose rides are the major attraction. Although Disneyworld and Disneyland comprise several parks, we used the most popular section of each—for instance the Magic Kingdom—as the watermark for overall attendance, since most visitors purchase base tickets that allow them multiple-park visits over the length of their stay. LAKE BUENA VISTA, Fla. -- The Jungle Cruise attraction in Adventureland at Magic Kingdom Park takes explorers on an excursion down the rivers of three different continents. Going deeper and deeper into the jungle, the boat’s skipper is your guide, humorously regaling you with tales of danger as you pass ancient ruins, zany explorers and exotic animals. The attraction, as we know it today, is much different than Walt Disney’s original vision. During the planning stages, Walt intended for the attraction to have live animals roaming around, much like Kilimanjaro Safaris at Disney’s Animal Kingdom. When he realized he couldn’t control the animals’ sleeping habits, he decided he could tell a better story using Audio-Animatronics. The first version was very serious, based on Walt Disney’s “True Life Adventure Series.” It wasn’t until a few years later that humorous vignettes were added. Since coming to the Walt Disney World Resort for its opening on Oct. 1, 1971, the attraction is as popular as ever, delighting the young and the young-at-heart alike. Each excursion is different, as skippers interject their own personality into the spiel. Skippers also create magic for Guests of all ages each day as they invite them to come to the front of the boat and join them as honorary Jungle Cruise skippers. In addition to all the fun and photo opportunities, the honorary skippers also receive a Magical Moment certificate. Jungle Cruise Skipper Rob Van Vlokhoven always strives to give his passengers his best performance. What's "UP" With This Disney and Pixar!!!!!!!! I'm on my Soap Box again!!!!! You want to know why the piracy of movie are so high outside the US. Thing like this!! Disney/Pixar is not releasing "UP" till Sept 4th in Singapore and Asia. Why is this who knows but Disney. Disney/Pixar should have released "UP". now, world wide. Next week in Singapore is the start of a School Holiday. What a great time to release the film "Up",for when the kids are out of School. I can bet if I were in Bangkok week after the film opens, I will be able to buy a DVD of "UP". Which would you rather do wait 3 months for the movie release or buy it next week? Which would you do buy a ticket to see "UP" in a theater or pay about $3.00sgd for the pirated DVD. Do Not buy pirated DVD!!!!!!!! Again Disney you need to start thinking Globally and not just the US. You just mite make a lot more money. I was just informed that the UK doesn't get "UP" till October 16th. Sitting here just shaking my head and thinking, "What would Walt think"
TWENTY-one-year old Annis Farahdilla Mohd Radzib from Kepong was recently named winner of 7-Eleven’s Cherry Blossoms Contest. Annis Farahdilla won herself a seven-day/six-night tour to Tokyo, Japan (including Disneyland) with flights and accommodation for two persons and RM8,000 travelling expenses. “Thanks to the proximity of a 7-Eleven behind my office, I frequently made purchases there after lunch and that’s how I entered the contest,” she said. “In all, I submitted more than 10 entries, and I am thankful to my mother who helped me with the slogan writing” she said. First runner-up was Lee Kim Loong from Puchong, who walked away with a 46-inch Full High Definition LCD Television. “I couldn’t believe it when 7-Eleven’s staff called me last week to say I won a major prize. This is my first time winning in a contest,” he said. Meanwhile, second-runner-up Chew Molly from Seremban won a three-day/two-night trip to Phuket. “I was so surprised and excited when I received that call. I really did not expect that with only five entries, I could be one of the winners,” she said. 7-Eleven’s advertising and promotions assistant manager Marcus Theam gave away the prizes to the lucky winners at a prize giving ceremony at 7-Eleven’s headquarters at Plaza Berjaya in Kuala Lumpur recently. The contest, which ran from Feb 23 to April 10, was open to 7-Eleven customers who made a minumum of RM7 worth of purchases in a single receipt. All they had to do was to answer two simple questions and write a slogan, attach their original receipts to the form and drop them off at any 7-Eleven store. All correctly answered entries were then evaluated by a panel of judges who picked the winners based on the best and most creative slogans submitted. Despite the threat of a loud burst, Jordan Nagai is a quiet kid. But “Up” director Pete Docter got lines out of him, even when it took some tickling. Director Pete Docter knew he would have to be resourceful in getting shy Jordan Nagai to laugh on cue for his role as a Wilderness Explorer named Russell in Disney/Pixar's animated "Up," which opens Friday. "First, I think we said, 'Think of something really funny, and you kind of went 'ha, ha, ha,' " Docter reminds the 9-year-old Nagai during a recent interview. "I remember at one point, I picked you up upside-down and tickled your tummy and said, 'Say the line.' You were really laughing." "We would come up with games," recalled Docter. "I would say, 'Jordan, next time before [you say the line], run over there, run around the chair three times, jump up and down three times,' and you would do it. A lot of times that would make you more energetic." Nagai looks up at Docter: "Yeah," he says in barely a whisper. Nagai was chosen from about 500 kids who auditioned to play Russell, a typically rambunctous 8-year-old who befriends a crotchety, elderly widower named Carl (Ed Asner). After Carl's wife, Ellie, dies before they got a chance to travel to the legendary Paradise Falls in South America, Carl, who worked with balloons all of his life, attaches thousands of balloons to his house so he can travel to the location. Russell ends up stowing away in the floating house. "I don't know if we told you this, Jordan," Docter tells Nagai, "but in some of the later sessions your voice had gotten a little bit different, so we had to pitch it up to make it a little bit higher so it would match your earlier voice because you are getting big." Originally, Nagai's older brother Hunter was to audition for Russell. But Nagai, who is 18 months younger, tagged along. "I have done auditions before for commercials," said Nagai. "But not for a movie." "You got to go up and say some things about judo," Docter says to Nagai. "I was with the person who plays Bart [Nancy Cartwright]," says Nagai. "She said I was the first kid to record on 'The Simpsons.' "
Long Beach — A crowd of all ages went back in time to see Walt Disney’s vision for his parks and looked into the future at two new cruise ships, a Disney Hawaiian resort and other attractions. Wholesome, fun entertainment for families, “That’s the legacy of Walt Disney,” said Jack Blitch, vice president of Walt Disney Imagineering in Florida. He spoke during Tuesday night’s Issues and Answers, sponsored by the University of Southern Mississippi and the Sun Herald. Every park has a Magic Kingdom similar Walt’s design for Disneyland. Each has It’s a Small World and every castle is different, said Blitch. He spent about seven years guiding the creation of Disney’s Animal Kingdom in Florida yet he said clearly his favorite attraction is the Tower of Terror, which he also helped build. Blitch confirmed there are hidden Mickeys all around the Disney parks. “Yes, they do exist and yes, they’re all over the place,” he said. He also talked about the tunnels beneath Walt Disney World in Florida built so the costume characters from Adventure Land are never seen cutting through Tomorrow Land. “There really is a complete city under the Magic Kingdom,” he said. These attractions, hotels and cruise ships are created and built by teams of Disney Imagineers, who work across 140 disciplines from engineers to writers and even prop shoppers who scour the country for just the right props. “Everything we do tells a story,” he said. The Walt Disney company has just purchased 26 acres on Oahu in Hawaii and will create the first mixed-use family resort outside of the Disney theme parks. Two new cruise ships, Disney Dream and Disney Fantasy, will be 50 percent larger than the two current ships. If you think the international entertainment scene has snatched world-class talent Jinky Llamanzares away from the home front, think again. She’s back in the country with renewed dynamism to resume her career in mainstream entertainment. “Miss Saigon” Canada, “Tommy,” the rock opera, Hong Kong Disneyland’s Golden Mickeys had kept Jinky away from the Philippines intermittently, leaving behind her a flourishing solo singing career. Understandably, she made a go for these bigger opportunities abroad to further her growth as an artist. And she has no regrets. In 1992, Jinky’s solo career hit its stride when she took on the part of Gigi in the Canadian production of “Miss Saigon.” She was a sensation on the world stage, such that after “Miss Saigon,” she was immediately offered the part of the Acid Queen in the rock opera “Tommy,” which she starred in until 1995. She came back to the Philippines after that, and resumed doing lounge acts and corporate shows till the offer to join the Hong Kong Disneyland team came her way. She became part of Golden Mickeys, an attraction that paid tribute to Disney’s award-winning movies. “I worked every day, from Monday to Friday, then I would have two days off,” Jinky recounts. Jinky was in Hong Kong from September 2005 to March 2007. Her actual contract was for one and a half years, but she stayed a little longer than that before coming home to Manila. A seasoned performer that she is, Jinky thinks she still has what it takes to shine once more in the local music scene, unfazed by tough competition and the challenge of the times. “Once upon a time, I made my mark in this industry. I can make it again,” she says with all certainty. But who can forget Jinky Llamanzares? Hers is a tough act to follow. Her triumph in the Musicmate search in 1986 (the same singing contest won by Jamie Rivera) gave Jinky a jumpstart in the industry. After this win, Jinky became part of Music Making Company and spent almost two years with the band, performing in various hotel lounges in and around Metro Manila. A solo career was eventually inevitable. Even before “Saigon,” “Tommy,” and Disney, Jinky has left an indelible mark in the music industry that makes it easy for her to bounce back every time she returns home. There will always be a place for her in the local music scene. Remember, Jinky Llamanzares is world-class talent! Tokyo Disneyland Hotel, the largest of the three Disney Hotels in Tokyo Disney Resort, opened July 8, 2008 during the Tokyo Disney Resort 25th Anniversary year. Tokyo Disneyland Hotel stands in front of the Disney Resort Line’s Tokyo Disneyland Station at the main entrance of Tokyo Disneyland Park. Because of its location, the hotel serves as the “front door” to the Resort, welcoming Guests with its grand and luxurious Victorian design. The hotel design blends with the architecture of World Bazaar, which is the first area Guests see upon entering Tokyo Disneyland Park. Victorian-style hotels are found at several Disney Resorts, with the first one having been built at Walt Disney World Resort in Florida. This architectural style was chosen because Walt Disney, who was born near the end of the Victorian era, championed the values and ideals of that time throughout his life. That heritage will continue with the new Tokyo Disneyland Hotel. The 705 guest rooms at Tokyo Disneyland Hotel feature Mickey Mouse and other Disney character motifs in its designs. A select number of rooms are themed to the Disney classic films, such as Peter Pan, Alice in Wonderland, Snow White and the Seven Dwarfs and Cinderella. More than half of the guest rooms have an alcove with a built-in additional bed. The hotel also has two unique restaurants and a lobby lounge, as well as four banquet rooms in different sizes to cater to various needs. There are also an esthetique salon, the first for a Disney Hotel, and a beauty salon for children. All of these facilities provide a comfortable and memorable stay for the Guests. Tokyo Disneyland Hotel will provide a dreamlike experience for Guests who wish to be immersed in the world of Disney during their entire stay at the Resort. Owned By Oriental Land Co., Ltd. Operated By Milial Resort Hotels Co., Ltd.
Other Facilities Disney shop, beauty salon, esthetique salon, etc. Disney Ambassador Hotel was the first Disney branded hotel in Japan, constructed and operated under a license from The Walt Disney Company. Blending into the hotel's elegant art deco design are touches of Disney fun: images of popular Disney characters, including Mickey Mouse and Minnie Mouse, can be found throughout the hotel. Guest rooms are designed for families and groups of friends. The Hotel also offers many other amenities including Disney Character Dining, during which Disney characters visit guests while they dine at Chef Mickey, and Disney's Fairy Tale Weddings. Design Robert A.M. Stern Architects, New York City, U.S.A. The first hotel to be built inside a Disney Park in Japan, the Tokyo DisneySea Hotel MiraCosta opend on September 4, 2001, coinciding with the Grand Opening of Tokyo DisneySea Park. The Disney Park and hotel are located within Tokyo Disney Resort and are adjacent to the popular Tokyo Disneyland Park. The Tokyo DisneySea Hotel MiraCosta affords guests the unique opportunity of spending the night inside a Disney Park in Japan. Standing dramatically at the entrance to Mediterranean Harbor, one of the seven themed ports of call within Tokyo DisneySea Park, the hotel captures the ambience of old-world Italy and offers luxury accommodations and amenities, including world-class restaurants, Disney-themed shops, a pool and spa, banquet rooms and wedding facilities. The hotel's name, "MiraCosta" is Italian for "view of the coast." In keeping with its name, many of the hotel's 502 rooms provide guests with impressive views of Mediterranean Harbor and the waters of Tokyo Bay beyond. The hotel's elegant European design reflects the romance of an Italian villa, blending the architectural styles of several Italian regions, including Venice, Tuscany, Florence and Portofino. Motifs incorporating popular Disney characters can be found throughout the hotel's interior and exterior. Elegant Italian theming and design are combined with Disney-quality service to create an unrivaled guest experience that sets the Tokyo DisneySea Hotel MiraCosta apart from all other hotels in the world. Operator Milial Resort Hotels Co., Ltd.
Tokyo DisneySea Park is a richly imaginative world of adventure, romance, discovery and fun-a celebration of the myths and realities of the sea in the grand tradition of Disney family entertainment. The second Disney Park in Japan, and the first Disney Park to be inspired by legends of the sea, Tokyo DisneySea is located adjacent to the popular Tokyo Disneyland Park, on the shores of Tokyo Bay. Upon entering the Park, guests will see the DisneySea AquaSphere, a unique, globe-shaped sculpture and fountain which represents our Earth, the "water planet." Symbolizing the ocean-themed adventures waiting inside the Park, the AquaSphere will amaze viewers with dynamic cascades of water that flow down and around the globe, mysteriously clinging to its surface. Beyond the entrance, guests will find seven, distinct "ports of call." Mediterranean Harbor offers the old-world charm of a romantic southern European seaport, while American Waterfront nostalgically showcases the harbors of New York and Cape Cod at the beginning of the 20th century. Across the horizons of time, the futuristic marina of Port Discovery celebrates the adventure and excitement of new frontiers in the sea and sky. Guests will confront ancient perils and hidden mysteries in the jungles of Lost River Delta and encounter Aladdin and his playful Genie pal when they explore the exotic enchantment of The Arabian Nights along the shores of Arabian Coast. The whimsical "under the sea" world of Ariel from the classic Disney animated film The Little Mermaid (1989) comes alive in Mermaid Lagoon. And deep within the smoldering volcano of Mysterious Island, guests will discover portals to fantastic adventures with the legendary Captain Nemo. The exciting adventures and romantic tales to be found at these seven ports of call are brought to life in a variety of unique attractions. When guests board StormRider in Port Discovery, they will experience all the thrills of soaring high above the clouds and diving into the eye of a storm. Indiana Jones Adventure: Temple of the Crystal Skull in Lost River Delta takes visitors on a perilous journey through the secret corridors of a foreboding Central American pyramid. Guests can board boats in Arabian Coast and join the famous sailor, Sindbad, on a storybook journey of his treacherous travels in Sindbad's Story Book Voyages. In Mysterious Island, guests will discover hidden wonders of the ocean in 20,000 Leagues Under the Sea and embark on a thrilling adventure far below an active volcano in Journey to the Center of the Earth. In addition to many attractions, Tokyo DisneySea also features dazzling live entertainment and events, distinctive fine dining and unique shopping opportunities. Guests will also enjoy encounters with the world-famous Disney characters, including Mickey Mouse, Minnie Mouse and Donald Duck, as well as the Genie from the Disney animated feature film Aladdin (1992), and Ariel from The Little Mermaid. Another unique aspect of Tokyo DisneySea is a richly themed, luxury hotel located inside the Park. Situated on the Park's main waterfront in Mediterranean Harbor, the Tokyo DisneySea Hotel MiraCosta offers breathtaking views of the Park and Tokyo Bay. As an integral part of the overall experience, the Tokyo DisneySea Hotel MiraCosta allows guests to continue "living the dream" by staying overnight in the Park's adventure-filled world. The two Disney Parks complement and enhance each other. The foundation for Tokyo Disneyland remains the traditional, classic Disney stories of fantasy, dreams and magic, while Tokyo DisneySea presents new Disney experiences based on a wealth of ocean lore and facts, focusing on imaginative worlds of adventure, romance, discovery and fun. Walt Disney once said, of his original park in Anaheim, California, "Disneyland will never be completed as long as there is imagination left in the world." This is certainly true as well for the Tokyo Disney Resort experience. With the addition of Tokyo DisneySea Park right next to Tokyo Disneyland Park, the grand tradition of Disney family entertainment will continue for an audience that is growing every year. The magic of Disney came to Japan with the opening of TOKYO DISNEYLAND Park on April 15, 1983. 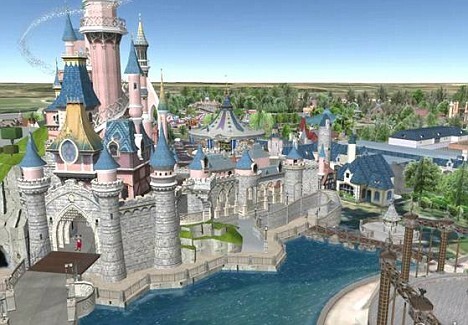 The Walt Disney Company joined forces with Oriental Land Co., Ltd. to "imagineer" a third Disney park. When TOKYO DISNEYLAND opened on reclaimed land about ten kilometers east of central Tokyo, Mickey Mouse and all his fellow Disney characters took up residence in their first Disney home outside the United States. The Disney park in Japan is about 1.5 times the size of the original DISNEYLAND Park in Anaheim, California. TOKYO DISNEYLAND is laid out in a pentagonal shape that allows guests to conveniently choose from the 41 attractions located throughout its seven different "themed" lands. The continued growth of the DISNEYLAND Resort in California, the WALT DISNEY WORLD Resort in Florida and the DISNEYLAND Paris Resort in France and the worldwide acclaim they have achieved attests to the success of the Disney entertainment formula -- one which is carried out to the same degree of quality at TOKYO DISNEYLAND as well. Many of the most popular attractions at the Disney parks were brought to the Tokyo Park, while others have been created just for TOKYO DISNEYLAND. Besides the many attractions, there are 55 dining facilities and 54 different shops throughout the property. The dining spots range from themed snack counters to elaborate, gourmet restaurants. The shops are all themed to the lands where they are located. Guests, as visitors to this magical kingdom are called, can shop for everything from Mickey Mouse T-shirts to exclusively blended perfumes. TOKYO DISNEYLAND is a unique place where people of all ages can find enjoyment and share in all the laughter, thrills, and surprises of this magical Disney park. Tokyo Disney Resort is a totally integrated, entertainment destination that expands the concept of a theme park to a theme resort. Located on some 200 hectares of land, Tokyo Disney Resort is Japan's first "theme resort" and encompasses a number of distinct facilities, each promising a unique brand of themed entertainment. Guests visiting the Resort will enjoy a thrilling environment filled with high quality amenities, hospitality and entertainment. Before Tokyo Disney Resort, there was Tokyo Disneyland Park, the first Disney Park to be built outside the United States. Opening in April 1983, Tokyo Disneyland brought the dreams and magic of Disney family entertainment to Japan. Just outside JR Maihama Station is Ikspiari, which opened in July 7, 2000. Featuring nine unique themed zones of shopping, dining and entertainment, including some 130 shops and restaurants, Ikspiari is also the location of Cinema Ikspiari, a state-of-the-art cinema complex with 16-screens. Disney Ambassador Hotel, the first Disney branded hotel in Japan, also opened in July 7, 2000. This elegantly designed resort hotel features 1930s American art deco design, and special Disney themed amenities. Here guests will enjoy Disney Character Dining, where Disney characters greet them while they dine. And couples can make their dreams come true with Disney's Fairy Tale Weddings in the hotel's Rose Chapel. Tokyo DisneySea Park and the in-park Tokyo DisneySea Hotel MiraCosta opened in September 4, 2001. Tokyo DisneySea is inspired by the myths and legends of the sea. Incorporating its seaside location, Tokyo DisneySea is comprised of seven themed ports of call. The Tokyo DisneySea Hotel MiraCosta captures the ambience of old-world Italy. "Mira costa" is Italian for "view of the coast," and this luxury hotel offers accommodations with impressive views of the Park's major waterway and Tokyo Bay. 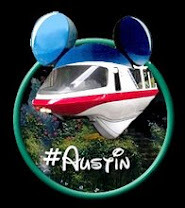 The Disney Resort Line monorail system began operations in July 27, 2001. The system connects the various Resort facilities, providing guests with a convenient means of transportation around the Resort. Oriental Land Co., Ltd. was established in 1960 to develop large-scale leisure facilities to contribute to the nation's culture and welfare. That original mission was accomplished with the opening of Tokyo Disneyland Park. The success of that Park prompted the desire to present bigger dreams and more excitement to as many guests as possible. With the evolution from theme park to the Tokyo Disney Resort, Oriental Land will be able to do all that and more. Three Little Pigs is an animated short film released on May 27, 1933 by United Artists, produced by Walt Disney and directed by Burt Gillett. Based on a fairy tale of the same name, Three Little Pigs won the 1934 Academy Award for Best Short Subject: Cartoons. In 1994, it was voted #11 of the 50 Greatest Cartoons of all time by members of the animation field. In 2007, Three Little Pigs was selected for preservation in the United States National Film Registry by the Library of Congress as being "culturally, historically, or aesthetically significant". Jamie Rayko was visiting Orlando, Fla., in 2007 when her 7-year-old daughter became separated from the group during a trip to a theme park. Her daughter found a park employee to help her, but in the panic of the moment, she couldn't remember her mother's cell-phone number. There was no way for the employee to call Rayko to tell her that her daughter was safe. "It was just an absolute horrifying experience," said Rayko, a mother of three. The family was eventually reunited - and that terrible experience spawned a business. Rayko, who now lives with her family in Celebration, Fla., the Disney-built community in Osceola County, has created a line of lanyards, bracelets and temporary tattoos for children to wear when visiting large, busy venues such as theme parks or sporting events. What she's selling, she says, is peace of mind. Priced at about $8, the Spot Me ID comes with a permanent marker, so parents can write a contact phone number on the identification tag in case the child gets separated from the family. The products are illustrated with a cartoon dog, Spot, drawn in various situations, such as riding a roller coaster, at the beach and playing football. Rayko said the goal was to create something fun that children would want to wear. The Spot Me ID recently got a big break when Universal Studios starting stocking it. Rayko said her creations there are right where most parents head first when they arrive at the theme park: guest relations, near the stroller rental. A spokesman for Universal Studios confirmed the park carries the product, though the company does not comment on its vendor relationships. Since its launch in September at the ABC Kids Expo in Las Vegas, the Spot Me ID has received several accolades, including being chosen best new product in merchandise by the International Association of Amusement Parks and Attractions. Rayko said the product is already on sale at several smaller attractions, and she is planning to hire a sales force to promote Spot Me ID across the country. And she is already getting feedback from satisfied customers who report the product worked as planned. "There's nothing more important to a parent than just peace of mind," Rayko said. A five-year-old boy with an inoperable brain tumour has been given a dream trip to Disneyland Paris, thanks to the Croydon Guardian. Robert Haddad read about Sam Watson’s condition in last week’s newspaper and it brought back memories of his son James, who also suffered from a brain tumour. He set up a trust in his son’s name after he passed away in 2002, and decided to use the charity funds to pay for the Watsons, who he has met, to go on a family holiday. James’ plight touched the hearts of Croydon Guardian readers who donated thousands of pounds to his appeal fund. Mum Julie said: “I was gobsmacked when Robert called me and said he would like to pay for the trip. “I’ll be going with the two boys, Sam and his brother Joseph. Mr Haddad said: “We want to pay for the family to stay at the best hotel in Euro Disney for three nights and four days. “One of the objectives of our trust is to support families like the Watsons. Friends of the family have rallied around to try and raise funds for a series of holidays and weekend breaks, so the family can spend a good amount of time together. They have organised a fun day which is due to be held on Warlingham Green on Saturday, May 23, from 10am to 6pm. Organiser Rebecca Haynes, who is donating some of the funds she raised running the London Marathon to Sam’s cause, is hoping families will go and enjoy the variety of rides, stalls, games, live music and entertainment. In a recent fundraiser for the Los Angeles Museum of Contemporary Art, actor Neil Patrick Harris ("Dr. Horrible's Singing Blog", "How I Met Your Mother") demonstrated his inner fanboy by taking visting patrons on a tour of his home in the Studio City Hills. Among other works from contemporary artists of note, Harris' office contains a virtual shrine to the Haunted Mansion at Disneyland. "Best. Office. Ever," claimed Gendy Alimuring, a columnist for LA Weekly. According to Alimuring, Harris' office holds an original plaque from Disneyland's Haunted Mansion, and a changing portrait of Medusa which is also found in the Mansion. He even has a bride doll with a heart that glows red with each beat on display. "Dark and spooky, but kinda silly," Alimuring said. Authoritative reports hold that the plaques currently installed outside the Mansion are the original ones, but there were a couple spare bronze plaques cast alongside the originals as the attraction was developed. Mysteriously, one disappeared from a Disneyland Staff Shop sometime in the '90s, around the same time that resin replicas of the plaque started to appear on the black market. So it is entirely possible that Harris' plaque is indeed original and from the park. Guests of the DoomBuggies Swinging Wake held at Disneyland in February 2008 would not be surprised to hear that Harris is a Haunted Mansion fan, since he was seen as a guest at the event as well. The Swinging Wake, an event in which Haunted Mansion fans joined to listen to stories from four Imagineers who worked with Walt Disney in the creation of the Mansion, was a private glimpse into the mysterious history of the ride. Harris, an amateur magician and lover of stage arts, was overheard chatting about his practice on the trapese with Imagineer Bob Gurr before the event. The event concluded with an opportunity to have a photo taken with the Mansion's famous "Hitchhiking Ghosts," for which Harris waited giddily in line with the rest of the Mansion fans in attendance. The Haunted Mansion has many other celebrity fans, including writer Cory Doctorow, who has written an entire novel about Walt Disney World's Haunted Mansion, titled Down and Out in the Magic Kingdom. John Cutry testing a life-size President Obama ahead of the reopening of a Disney World exhibit. Blaine Gibson working on an Abraham Lincoln sculpture.